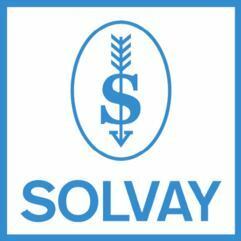 Solvay is a chemical and pharmaceutical company based in Brussels, Belgium. The company is engaged in two major sectors of activity: chemicals and plastics. Solvay has operations in Europe, Asia, Russia and the Americas. Solvay recently sold its pharmaceuticals business to Abbott Laboratories and has acquired French chemicals company Rhodia. They're a reliable dividend payer, maintaining a reasonably consistent payout year-on-year.